Millions of men, women and children are starving in Yemen. 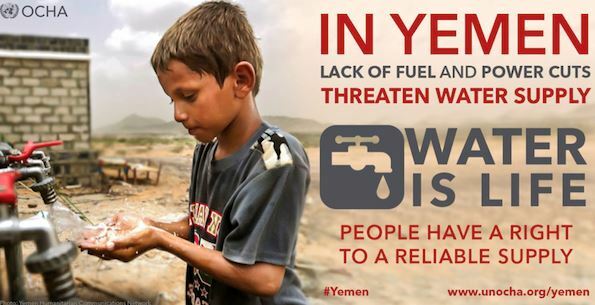 Hunger is the Yemen´s silent killer. Food is unaffordable, unavailable, and humanitarian aid is hindered or blocked by a country devastated by war and genocide. What? Where? Why? Improve your listening skills by watching this video report. At the same time, ask yourself why this video has only had 3,350 views, while a video on how many girls Justin Bieber has dated has received over 1.7 million hits. Disgustingly, the British and the USA governments directly support the war in the Yemen by capitalising on the sale of weapons, arms and bombs. It´s time for us all to stop looking the other way. Donating money might help in the short term, but using your voice to lobby governments and hold them accountable for their actions is bound to have a longer lasting effect. Don´t let governments use your tax to sell weapons. Don´t let your governments justify this heinous action in the name of national economic prosperity. Don´t let the childish behaviour of politicians distract you from the ‘real’ issues. Don´t let the lawyers and academics cloud your sense of moral and ethical justice with legal and intellectual debate. Perhaps, I don´t know, or don´t have the intellectual capabilities to truly understand all the issues. And, quite frankly, I don´t care; selling arms for economic and political gain is just wrong. Posted on Nov 15, 2017 Nov 12, 2017 by Inglés MálagaPosted in Listening, ReadingTagged aprende ingles malaga, b2, c1, C2, crime, war. Previous Previous post: Come on Ireland. Ireland, Ireland, Ireland.